After having a burrito bathed in a combination of green chile and sausage gravy at the Donut Mill, very satisfying if you enjoy this type of meal, Road Food. Headed west on US 24 through Divide, Florissant, enjoying coffee as the rock formations and deer rambling by. Began diverting attention towards the morning dew at Lake George. Turning northwest on Tarryall Road, which becomes CO RD 77 in an eighth of a mile. Journey on CO RD 77 for 42.7 miles to the town of Jefferson at the Junction of US 285. CO RD 77 borders the Lost Creek Wilderness area with plenty of camping, hiking and fly-fishing opportunities. In Jefferson take a left, south on US 285 for 7.2 miles turning right into the town of Como, Colorado. Como has one of the last railroad roundhouses left in the state. For those who don’t know a railroad roundhouse was designed to spin the engine of a trail around and send it back where it came from. Go slow through town, a bit of history here as well as an interesting art gallery that wasn’t open yet, being before 7 in the morning. From Como to Breckenridge is a beautiful twenty-two-mile drive of beauty and inspiration. Being mid-July on this trip the wildflowers were peaking. 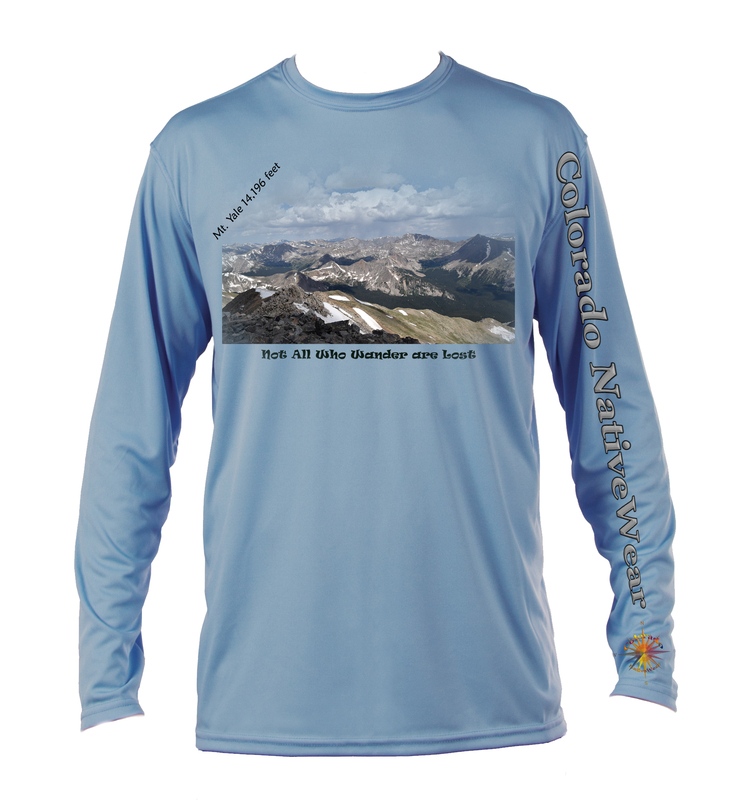 Tough enough to climb 50 plus 14er’s, backpack the 500 plus miles of the Colorado Trail or any other wilderness area, wading a river to gently placing a fly in front of a rising trout. Outdoor and Fitness Performance Gear Enhancing your Outdoor Experience. Grab your Ski’s, Fly Rod, Pack, it doesn’t Matter. Protect our Public Lands, Wilderness, Monument Lands, from our Government and Commercial Interest!